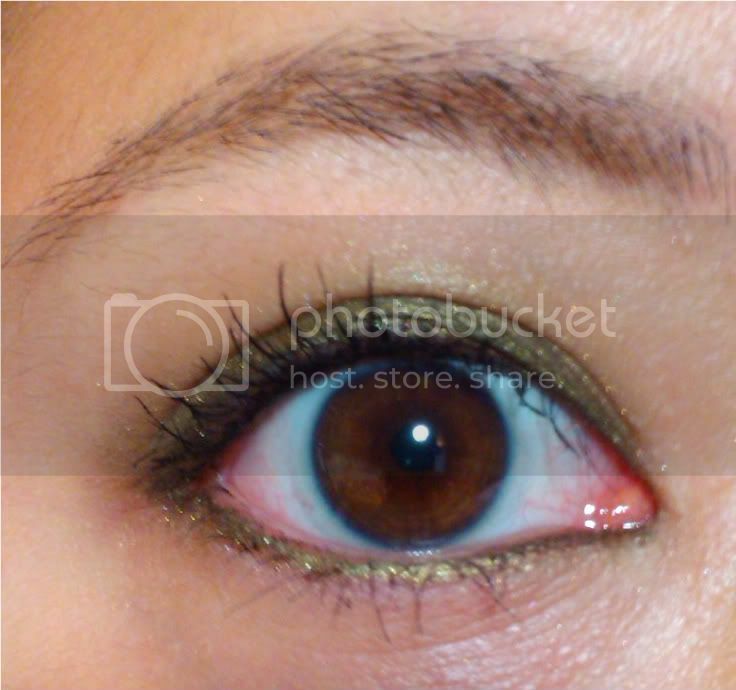 I have 3 weaknesses when it comes to eyeshadow, three colors that almost always make me pause and look twice. Olives, Plums and Taupes. 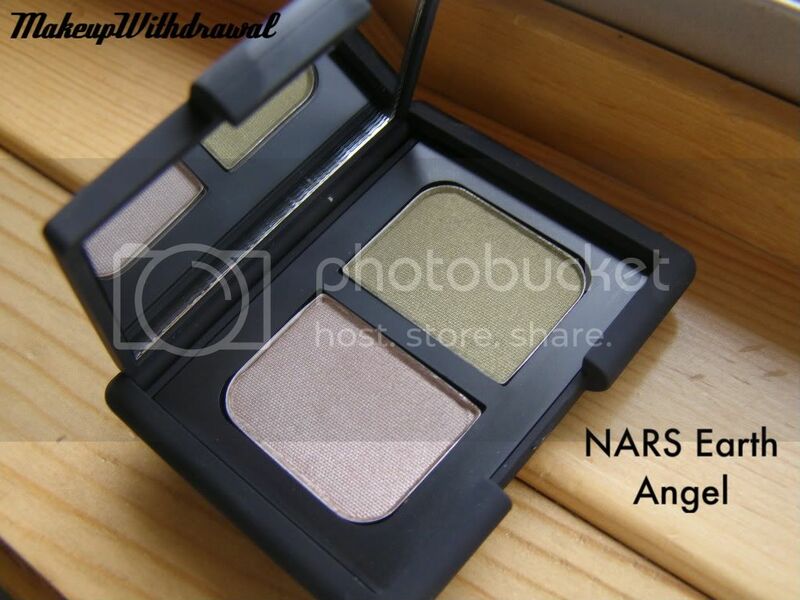 Since this NARS Earth Angel duo has two of the three- it's been beckoning towards me for quite some time now. I have to get something off my chest first. I hate the name. Earth Angel? Ugh, this makes me think of some long haired hippie with a braided flower necklace laying on the ground making snow angels. I'm only half kidding, I'm marrying a damn hippie, but that doesn't keep me from wanting to throw his Birkenstocks and acoustic guitar at him and telling him that no, he can't light any more stinky incense. Back to shadow. 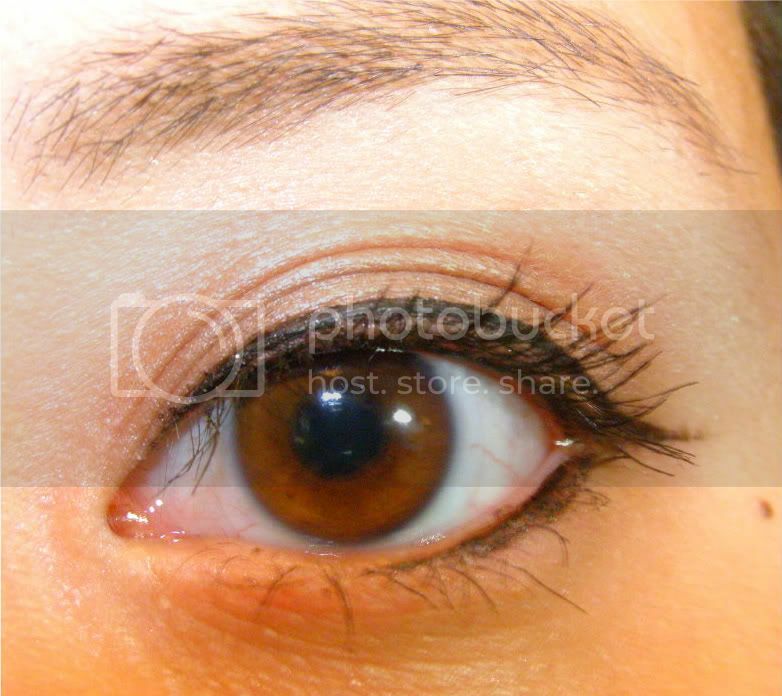 One side is described as a "bronzed taupe" while the other is an "olive". I see a light taupe with hints of plum and an mossy olive. I'm gonna come out and say it, I'm halfway disappointed. Why just halfway? The taupe is delicious, as all taupes ought to be. Smooth, highly pigmented and different enough from the rest of my taupes to deserve love and attention. It's the olive side that makes me stop dead in my tracks. It looks gorgeous swiped with a finger, but one of those shades were the shimmer disappears when you try to blend it and ends up looking dark and dirty. So yes, while the swatches look lovely, it's horrible to work with. The only real way I've managed to use the green shade is as a single wash of color over UDPP (paired up with olive liner, it's stunning!). I don't understand, doesn't NARS hire anyone to actually -test- the makeup? 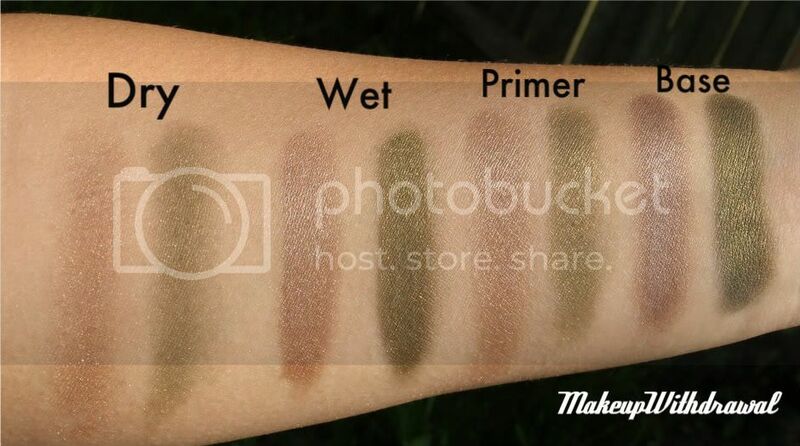 It'd take just one application to demonstrate that while rich in the pan, the blending of the green isn't up to scratch. At $32, I felt like it was quite a bit of money for me to spend on myself for an eyeshadow duo, but luckily Mr. MakeupWithdrawal insisted as part of my birthday treat. So, anyone else own any NARS shadows? What are your favorites?